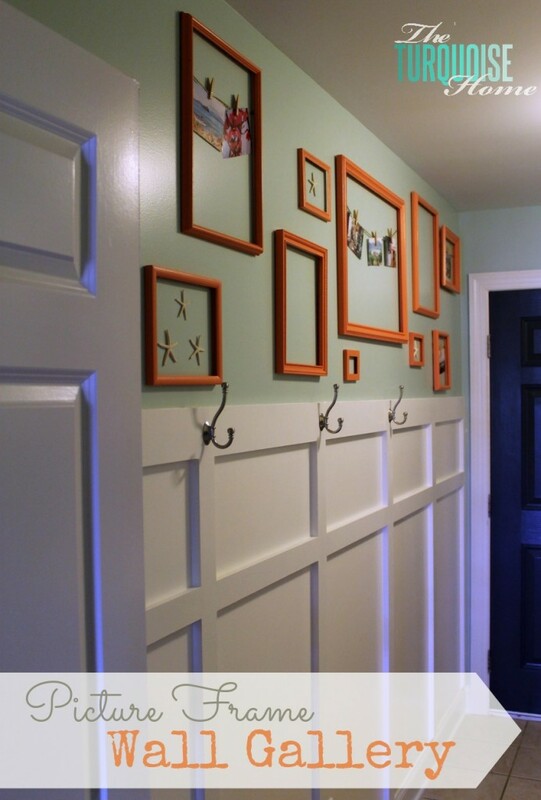 Did you see my picture frame gallery wall that I shared on Monday? 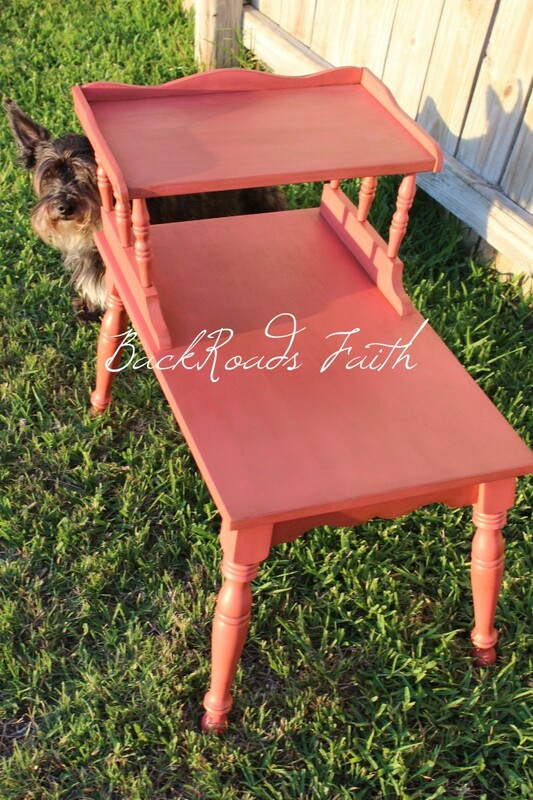 It was my first experience painting something coral, and I have to say, I might be hooked, smitten, and trying to figure other ways to get this beautiful color into my home. 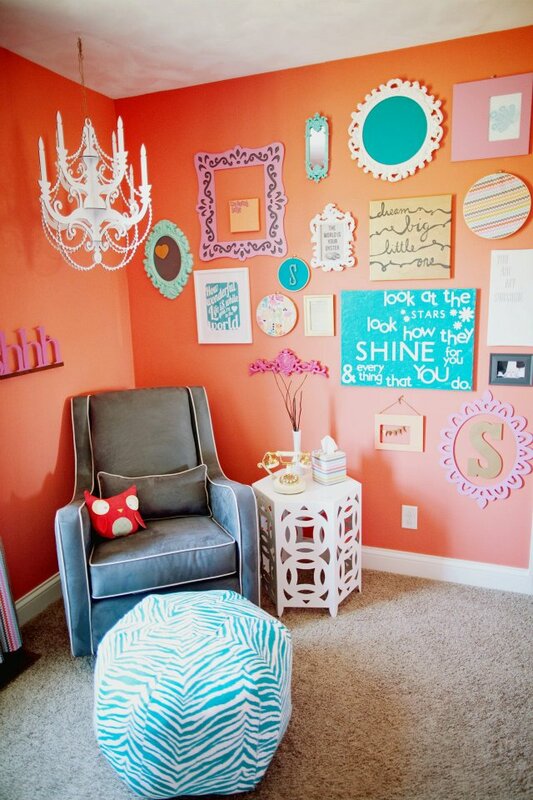 And while I love to paint, I’m not quite sure where I could paint a coral wall. Maybe in here? 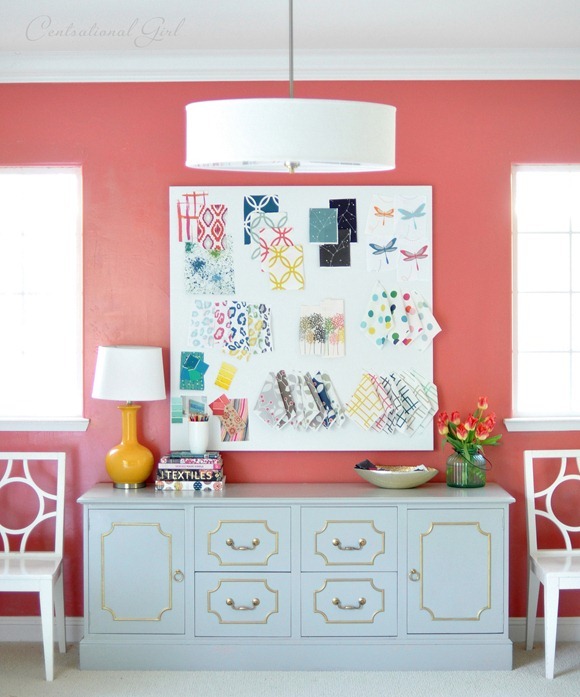 But I can sure think of a lot of places to put a cute coral bowl, lamp shade or shower curtain. I’m kind of obsessed with shower curtains. I’ve rounded up some of my favorites. Don’t miss out on the behind-the-scenes fun! This post is sponsored by my YL. 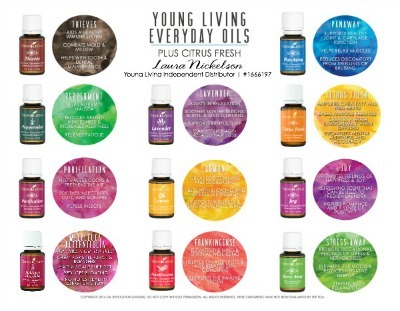 I love having natural options and these essential oils have helped my family tremendously in our pursuit of natural wellness. 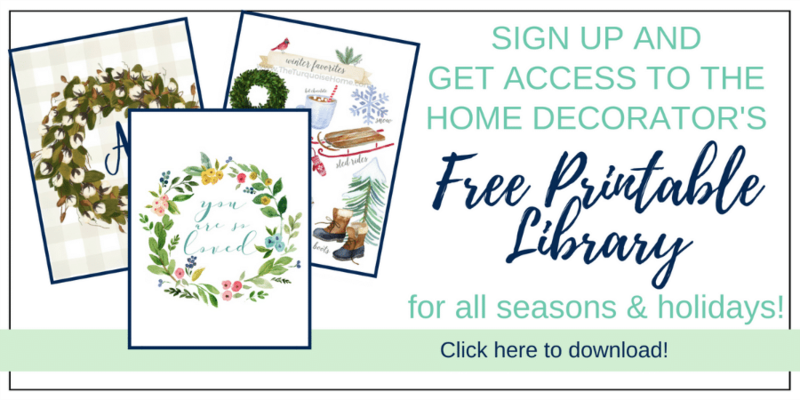 They are also my business and are so well-loved that they sponsor my blog!! Enroll by clicking here. 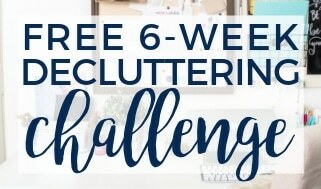 Get decorating ideas, projects & DIY inspiration delivered straight to your inbox. Click HERE to see where I party every week. 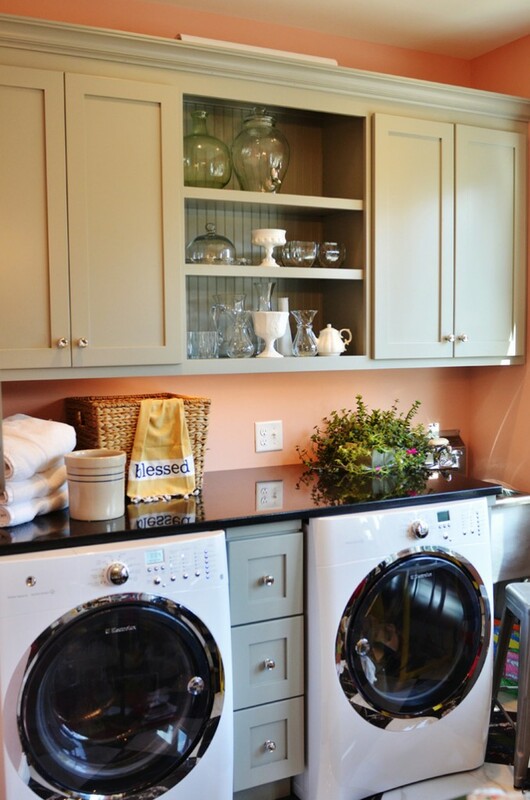 Along with Remodelaholic, Home Stories A to Z and Coastal Charm. oh my!!! What a really pretty round up :o) Gorgeous!!! thanks for linking up to Tasteful Tuesday at Nap-time Creations! Thanks Emily! Have a great weekend!! 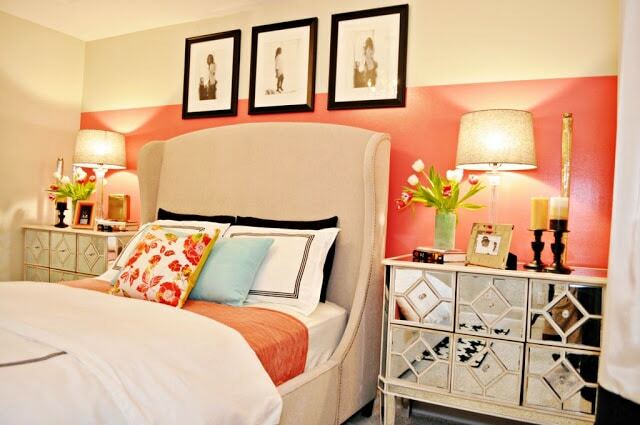 I must be ahead of the curve…lol My bedroom has been coral for over a year now. Exactly!! I feel like it’s a mature pink. Just in the past couple of years I think my decorating colors have “matured” and I love how it looks. 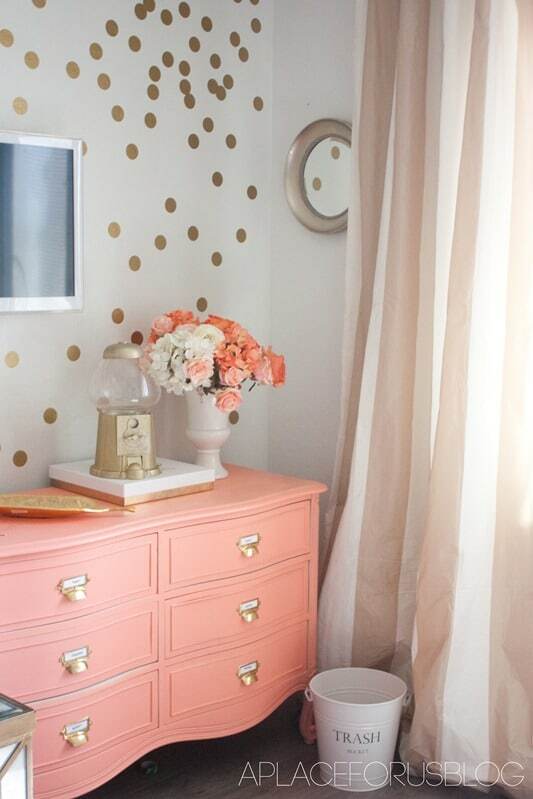 And if it weren’t for my husband, I’d probably have a bedroom completely decorated in coral. 🙂 Thanks for stopping by, Sarah! I love everything! What a beautiful color, and I’m glad it’s made a comeback! Thanks so much, Lisa! Have a great weekend!! Love your post–I’ve been crushing on coral too all summer. I’ve definitely been inspired by you to do something a bit more bold with the color other than just paint my nails! Oh yes! Pops of bold color are some of my favorite things! Thanks for stopping by!! My sister is getting married in October and her colors are coral and blue. Since getting my bridesmaid’s dress I’m loving coral! I just bought a new home as well and never put coral on the table, but now I’m definitely looking into a coral color scheme or coral accessories! Pinning for inspiration! I bet it all looks beautiful! I think I’m going to paint some vases with it next. I’m wondering if it can be a fall color. 🙂 Ha! 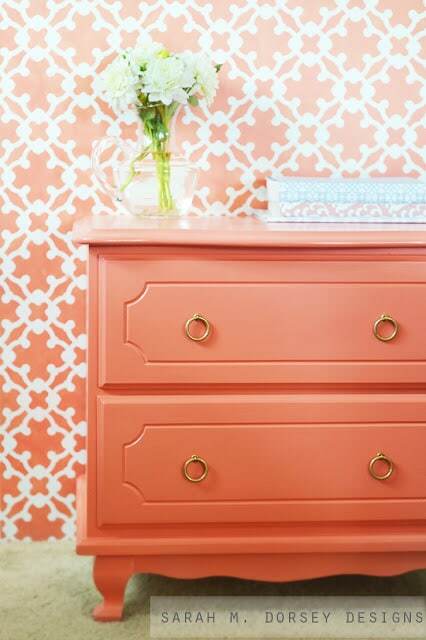 I love the color coral, it is beautiful and I find it to be a relaxing happy shade that can brighten any room or object that it meets. Thanks so much for sharing! Thanks Kalyn – so glad you stopped by!! I love coral! Thanks for all the inspiration! Hi Darcy, I’m glad you liked it! Thanks for stopping by and I hope you have a great week! 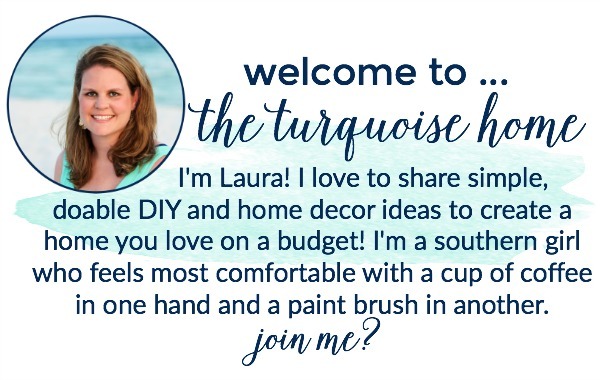 My entire upstairs is painted in a very light shade of coral…I believe is called caribbean sand or something like that lol…I love coral, it makes me happy! 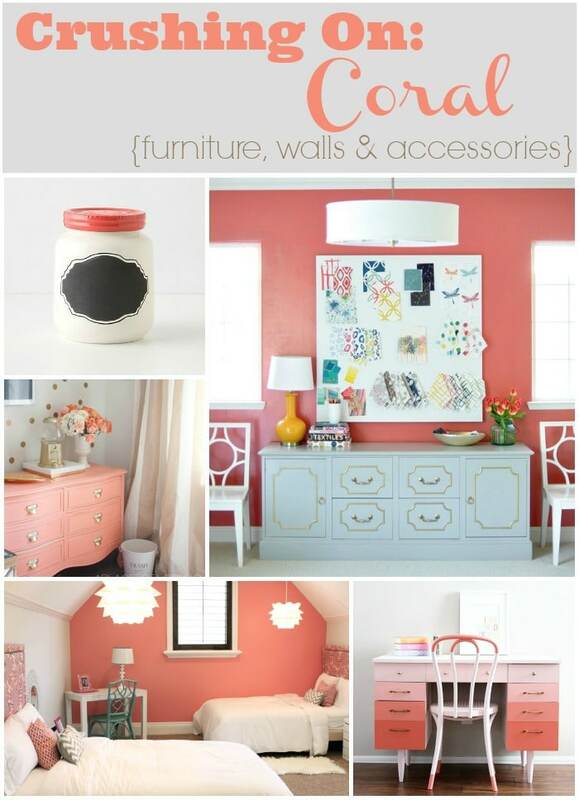 Thanks for sharing the inspiration and “coral love”! Oh pretty! I am starting to think of things to paint coral. MAYBE even a wall!! I usually stick to blues/greens and grays. But maybe a fun color in my guest bathroom. Thanks for stopping by!! i’m pretty sure i’ll never get tired of coral inspiration. 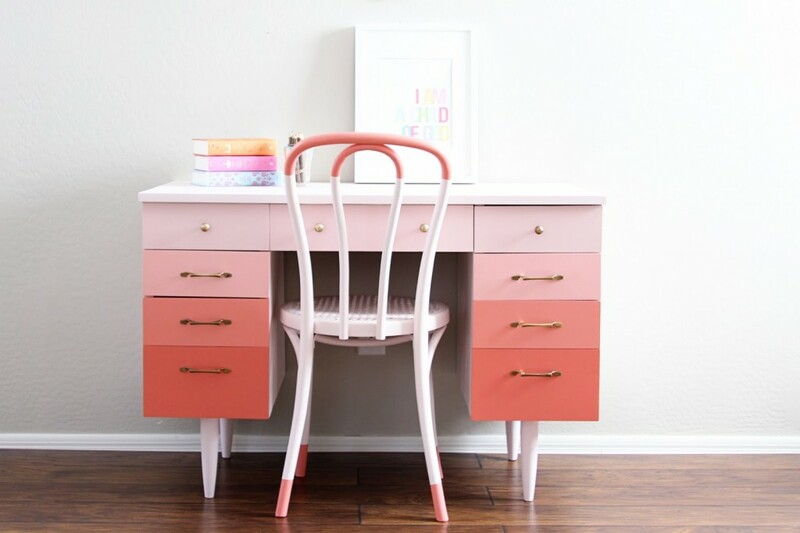 i seriously need to paint some furniture now STAT! I LOVE coral. I’ve been seeing it in lots of different color combos. I like the brighter tones. The last kitchen was a little too peach for me, but then again, I remember the peach color from “back in the day” LOL so what do I know! Oh goodness … I remember the peach from back in the day, too! 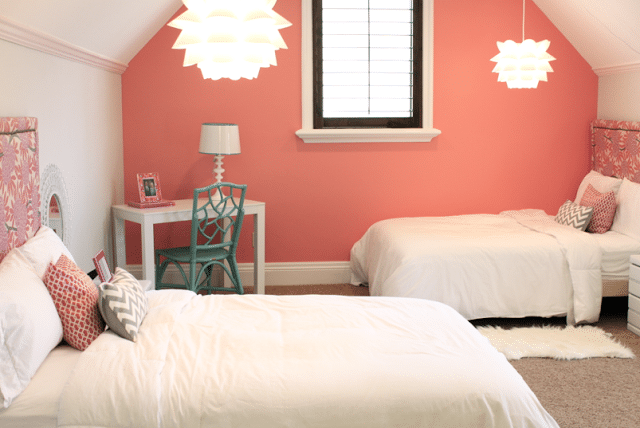 My parents’ bedroom was peach while I was growing up!! Glad that coral is not quite peach. 🙂 Thanks for leaving a comment, Denise!